Our Summer 2015 training and fieldwork project was a success. In the field, we were able to complete an intensive survey of the ancient site, which in all likelihood was a villa in the territory of ancient Chiusi (Etruscan Clevsin, Roman Clusium), occupied from the 2nd c. BC through the 3rd c. AD, which had processing and storage facilities for agricultural products as well as accommodations of some luxury, including a bathing complex. We also may have located an ancient road that runs just to the northeast of the site. 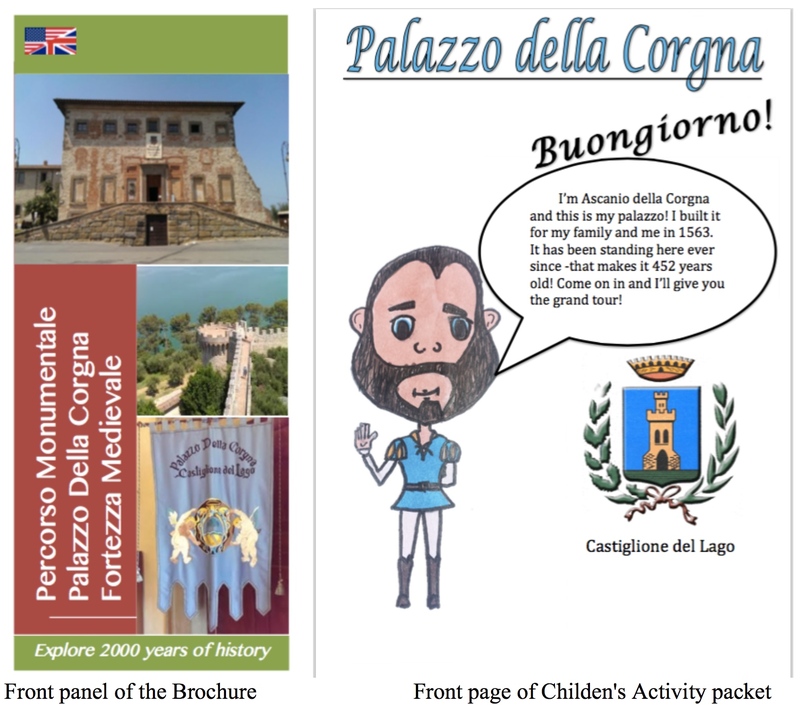 For the local antiquarium (in the Palazzo della Corgna), we were able to craft a timeline and fashion two brochures (one for adults, one for children; see below) to help visitors enjoy and understand the museum and its displays. A summary of all the different facets of our work (classroom instruction, field training, field trips, community engagement, museum projects, student project and presentations) can be read here: [PDF; 24 MB]. The team’s final survey research report is also available here: [PDF in English; also 24 MB]. 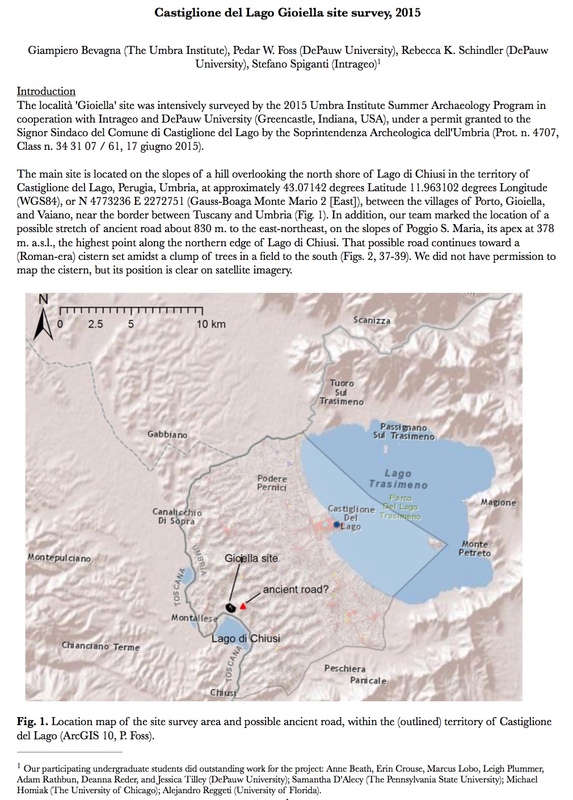 Thanks to all of our participating students, who worked so hard on the project, and to our partners in Castiglione del Lago and the Umbra Institute in Perugia. Thanks also to funding support from the Department of Classical Studies, DePauw University, and a private donor, who all made it possible for faculty and students to participate.